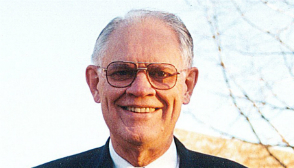 Dr. Krabbendam then became a professor in the department of Biblical Studies at Covenant College in 1973, and has continued to serve there to this day. At Covenant College he has taught courses covering a variety of subjects, including Evangelism, Christian Doctrine, Apologetics, Ethics, Hermeneutics, and Greek. In addition, he has taught classes at Covenant Theological Seminary, Sangre De Cristo Seminary, and Greenville Theological Seminary. He has also demonstrated his dedication to spreading the gospel by co-founding the Africa Christian Training Institute and serving on a variety of missions, including outreaches to Ireland, Kenya, Korea, Uganda, Australia, South Africa, and the Seychelles. In addition, reflecting his diverse interests and abilities, Dr. Krabbendam has served on the Advisory Board of The International Council of Biblical Inerrancy, the Steering Committee of the Congress on Revival and Reformation, and as a member of the Evangelical Theological Society.